It's still football season, which means it's still my favorite time of the year. I'm also a big fan of fall, so that definitely helps too! 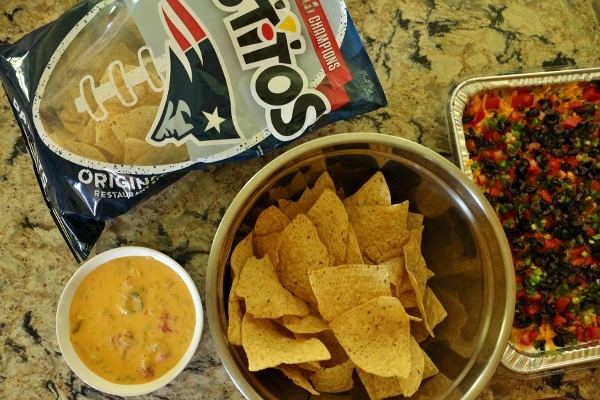 One of my favorite things about football season is coming up with fun ideas for snacks to make while enjoying the game. 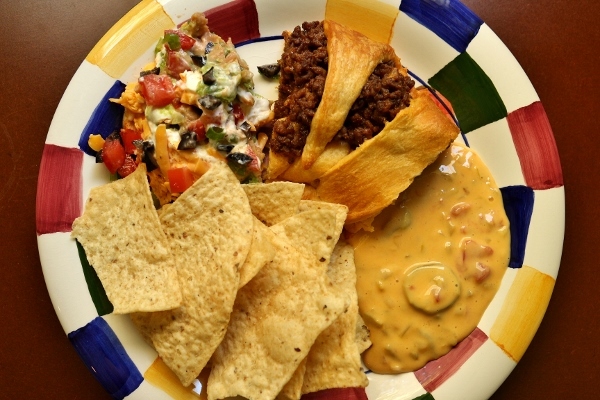 I recently planned a football-watching get-together with some good friends, and the result was a plethora of Tex Mex favorites. 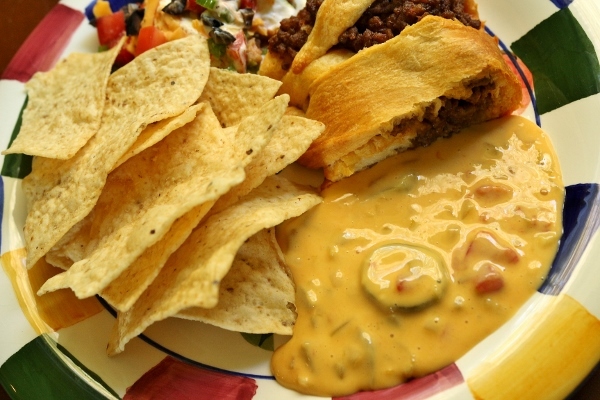 We had some layer dip, a taco ring, and of course molten hot chile con queso, made from scratch. 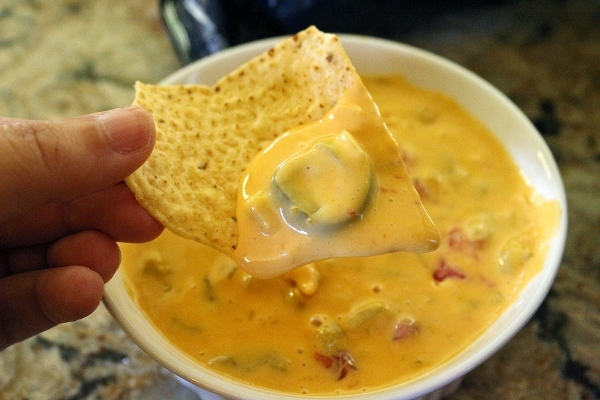 I know you can simply buy a jar of queso and stick it in the microwave, or melt together a block of Velveeta with a jar of salsa, but what's the fun in that? 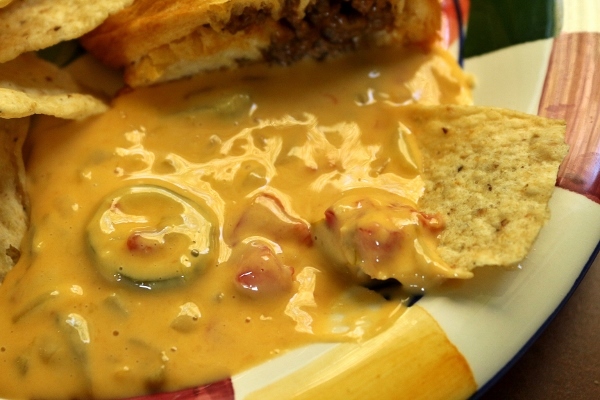 It's actually quite easy to make queso from scratch, and it's so tasty! I used my beloved homemade pickled jalapenos to really make it special. What really took it over the edge for me was finding a bag of Tostitos emblazoned with the logo for the FIVE TIME SUPER BOWL CHAMPIONS NEW ENGLAND PATRIOTS!! Yep, I was willing to shell out extra, and skip over any sale brands of tortilla chips for the one marketing itself directly to me, a die hard Pats fan. Oh Tostitos, you really got me! 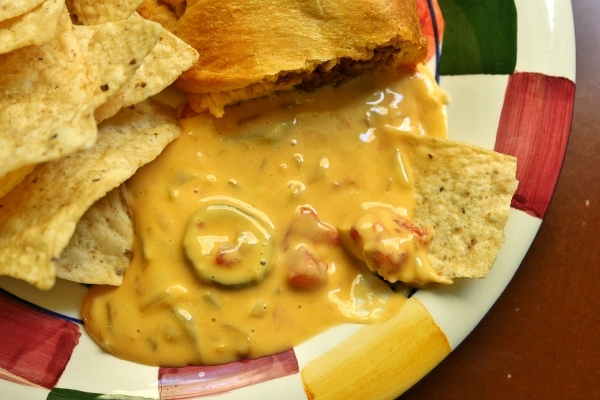 Regardless of who you are rooting for this Sunday (or Monday or Thursday), this chile con queso is so easy to make, and totally satisfies that gooey cheese, spicy, snacky craving at game time. Combine the oil, onion, and garlic in a saucepan over medium heat and cook until the onion is translucent, about 5 minutes. Add the cheese and stir frequently until melted. Add the green chiles, tomatoes, and pickled jalapenos and stir until heated through. 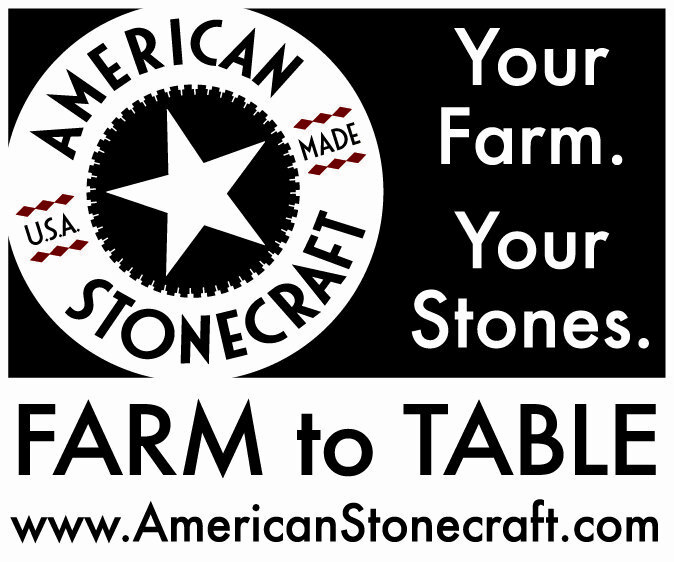 Transfer to a serving bowl and serve warm with tortilla chips for dipping.